My journey began on January 12th while mountaineering in Scotland. Whilst on the summit of Ben Nevis, I made my decision to attempt Everest. It was not a decision I made lightly, but it was something that had been burning inside of me the previous two years. In the depths of winter in William Wallace country, I decided to dedicate every ounce of my being in pursuit of this goal. The second I got down off the mountain, I quickly set about orchestrating a bullet proof plan to realise the dream. Upon my return to Ireland I commenced whipping my body and mind into shape. From the offset my training schedule was gruelling. 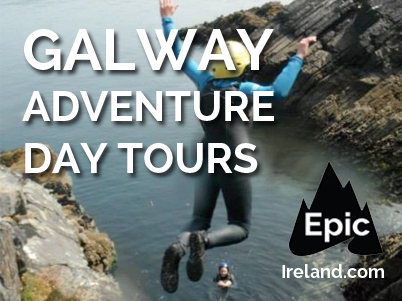 My initial conditioning was all endurance based, marathons, long hikes, partaking in 13kswim across Galway Bay. My gym plan came from the rising strength and conditioning guru Kieran Murphy. Magnifico put together an incredible regime to equip me both mentally and physically for everything the mountain could throw. The attention to detail was astonishing and many 6 o’clock starts were needed! 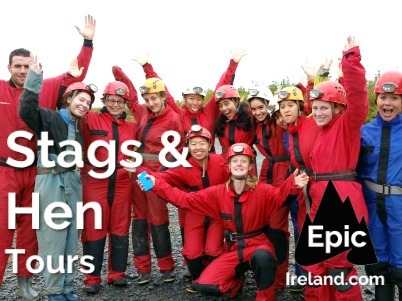 I gymed heavily during the week and spent the weekends hiking in the mountains of Ireland. 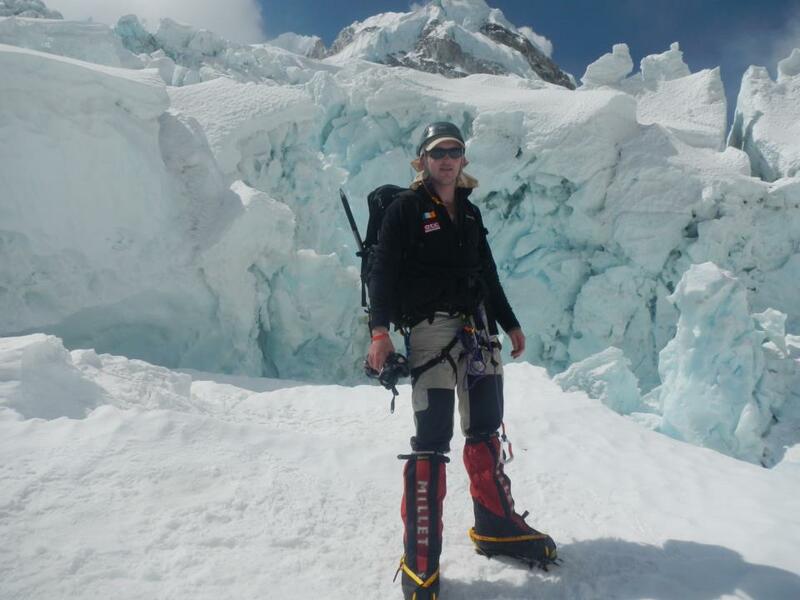 Manaslu gave me huge confidence but more altitude training was needed. The next step on the ladder was Aconcagua in Argentina, South America’s highest peak. This was a three week expedition, one which I did not enjoy as much as my previous excursions. The Andes are dry lifeless mountains. There are no inhabitants, no life like the Himalayas, where people live at 4500m altitude. However it was another chance to gain precious altitude experience. We endured harsh weather conditions, spending many days camped in waiting for weather to break. The summit attempt did not go to plan and we did not reach the peak, stopping only 1 hour away from the top for safety reasons. It was the first time in my mountaineering career I didn’t reach the top of a planned climb. As a mountaineer you need to understand the mountain owes you nothing. It is a force of nature and some days the luck just isn’t with you. I had endured tough days previously, like while scaling Manaslu when 13 fellow climbers lost their lives but this was my greatest personal low. It was an incredible test of my character. The realism of the dangers involved in extreme hiking were never more apparent. It was a miserable walk down from Aconcagua, through rock debris and sandy desert. It was a trail of self doubt and disillusion. Aconcagua illustatrated the darker side to climbing. Initially it was a place I swore I would never return to, but as I reflect on the experience as a whole, it made me a physically and mentally stronger climber. After returning home from Argentina in January 2013, I was a little shaken but not deterred. The objective was still the same and after some rest and recuperation I was back on track. It was now only 12 weeks until I left for Everest, so I decided to set myself one last challenge. I chose to turn the excursion into a charity appeal in aid of suicide prevention charities. Every charity collection needs a major fundraiser and so I decided to keep it local and climb Croagh Patrick- 12 times in 24 hours. This was an incredible task, with help and volunteers needed in numbers, and so emerged the Everest for Pieta campaign team. The charity brigade started at home on the couch with my sister Karen and her boyfriend John Carrick. They took on a huge challenge and organised almost everything regarding the charity campaign, which gave me the time I needed for training. The last weekend in February, on a Friday evening at 3.00pm I started my first ascent on Croagh Patrick, with a new gang of friends for every climb. This was the most enjoyable “training” I had ever done. The craic was mighty all night, I was getting faster as the night went on, and when I needed a lift on Climb number 8, a group of Killererin locals joined me for the 5.30am climb. The athletic David Moggan lead the troops from the back and Tom “The Machine” Flynn took off like Usian Bolt in attempt to reach the top first. Alan Fahy thought it was a training session and took off running, and the Barnadearg women even did it twice! Local fellow mountaineer Fergal Byrne hiked it 3 times, with pit stops to Cambells bar in between. All my family took part, with cousin’s uncles and aunts scattered all over the mountain in various states of exhaustion! I felt terrific after completing this event. My confidence in my fitness levels was brimming and I couldn’t wait to get going. On March 29th I flew out from Dublin Airport, finally it was happening. I remember the feeling on the plane, when I turned the phone off, I felt so positive and confident about the expedition, visualising myself on the top of the world. I felt humbled and privileged to be in the position to chase my dream. We landed in Kathmandu that evening to meet my Sherpa and mountain Guide Mingma Tsiring Sherpa. I would spend the next 7 weeks with Mingma. 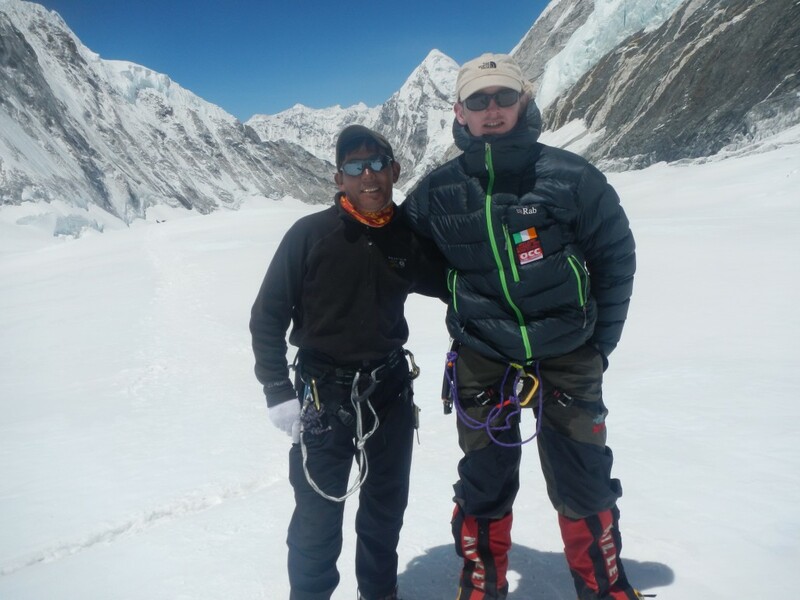 I had climbed with him on Manaslu and we had developed a strong bond. The craic and mood was always light hearted. 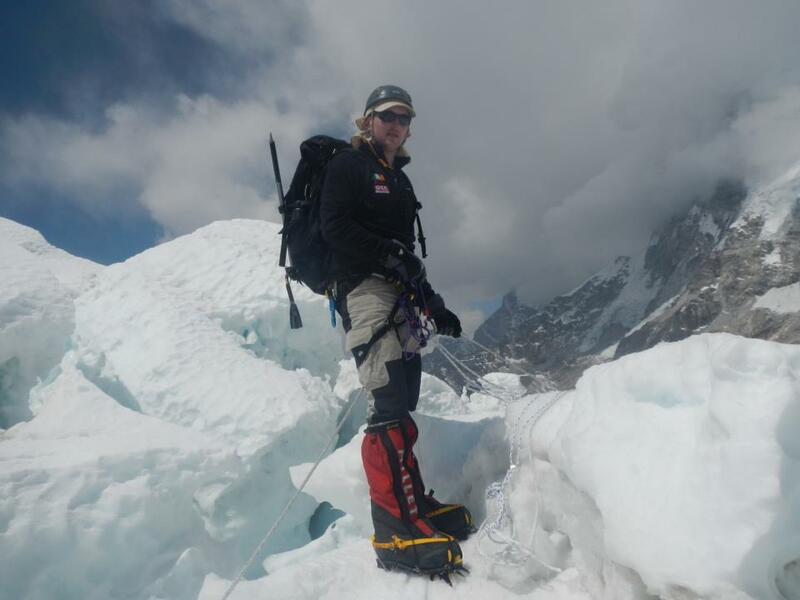 Mingma has now scaled Everest 19 times! There are no superlatives for this man, he is a hero! The best way I could describe him would be to say, he is the Padraic Joyce or Colm Cooper of the mountaineering world. After a day of gear checking and relaxation, we departed the crazy city of Kathmandu and flew into Lukla, the last mountain airport on the way to Sagmathara National Park. The flight schedule is crazy, as any hint of fog means a plane won’t leave the ground. The airport runway ends off a huge cliff and is symbolic of the madness that is Asia. It’s an airport marred unsurprising with tragedy, as 19 British people died here last year due to bad weather. The Base Camp walk began the next day. The path is incredibly busy with teahouses and souvenir shops all along each village. The walk to Base Camp is a stroll, taking it slowly to adjust to the altitude. It took us 9 days to make it to Base Camp. It is a spectacular hike, after day 4 the peak of Everest made itself clear. There was incredible realisation when I first set eyes on the goliath that is Everest. For me, after months of training it made the whole thing real. On day 8, we passed through a memorial between Dingboche and Lebouche. There are headstone memorials to all who lost their lives on Everest. Over 250 people have died on the mountain with 150 bodies still unrecovered. I met lots of amazing people on the trek to Base Camp and enjoyed all aspects of the walk. I learned that Yaks –Nepal cows- are never killed for their meat, and if you’re eating Yak, it means you’re eating a cow that died months ago of natural causes which has been stored in the ground. Mam’s home cooking was desperately missed! Reaching Base Camp gave a renewed focus, I was shocked at the scale of it, there are over a thousand people at base camp, mostly porters and Sherpa’s, with approximately 250 permits to climb. After a couple of days rest we began our first rotation, climbing through the icefall to Camp 1. The process of rotation is climbing to a height to gain altitude experience and returning back down to the point of origin to let the body acclimatise. On each climb you push further, exerting the body more and more. It is a tough and tedious practice and an incredible test of the mental side of hiking. The icefall is a huge glacier, which is falling off a 400m cliff. It is a maze, where you have to make your way through huge blocks of ice the size of houses with bottomless crevasses in-between. It was extremely technical and the craziest climbing I had ever done. It was a gruelling 7 hour climb, during the night when the ice is frozen to minimize the risk of avalanche. 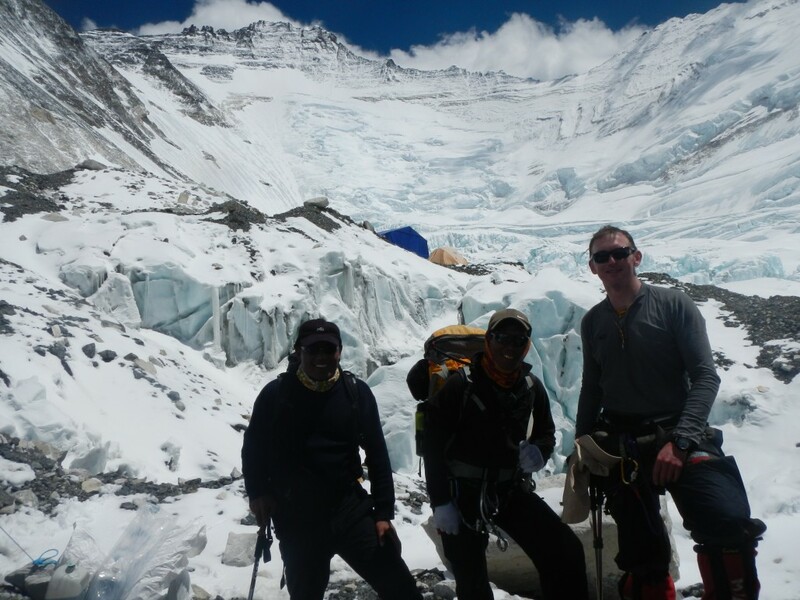 We spent a night at Camp 1 and returned to Base Camp the next day. We rested for a couple of days and pushed back up the mountain to Camp 2 this time. Unfortunately, I picked a bug up at Base Camp and after three hours climbing it became increasingly aggravated. It was incredibly painful and uncomfortable but giving in was never an option. We kept going through Camp 1, through the Western Cwm and into Camp 2. The Western Cwm is a crevasse field. Using ladders and ropes to negotiate huge black holes. While my mind was focused on moving forward, I forgot to apply sunscreen, and as the sun rose in the morning, it scorched me for 3 hours before I realised it. I got severe sunburn on my face and neck, learning another harsh lesson! When your fare and Irish, Wear Sunscreen!! The views from Camp 2 were spectacular, the best I had ever seen. 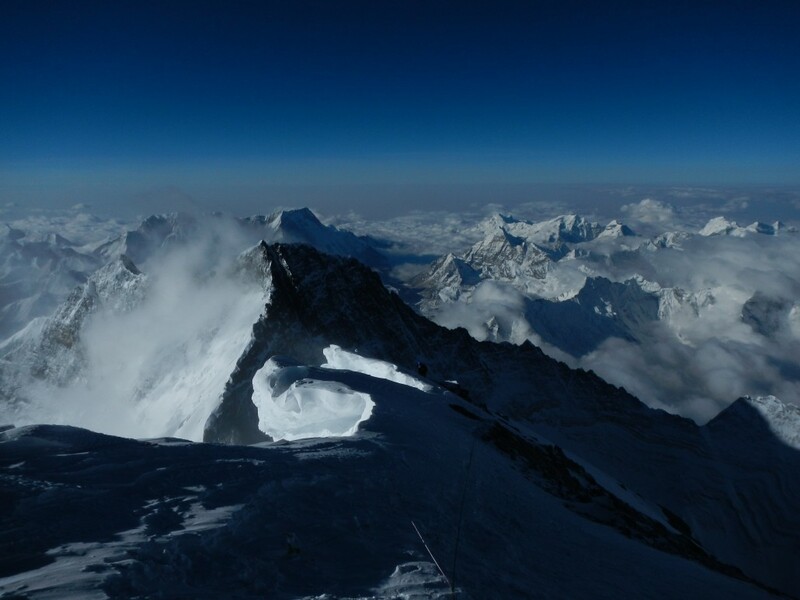 Camp 2 is located under the peak of Everest; it felt agonisingly close, teasingly looking over us. We spent two nights here, before we dropped back down again to Base Camp. The next time we left Base Camp, we went direct to Camp 2, spent a night there, and the next morning set out for Camp 3. The route to Camp 3 known as Lhotse Face is a 45 degree ice face which seemed to go on forever. Reaching the safety of Camp 3 was hugely satisfying. There was a view of The Yellow Band, The Geneva Spur, The South Col, The Khumbu Glazier, The Icefall, all the places I had read about and now I was here. We spent one night at Camp 3 at 7350m. We descended in the morning to Camp 2 where we witnessed the infamous “Fight”. A Large group of local Sherpa’s had reached their wits end with some cocky European climbers and literally threw them off the mountain. This made wide spread international news and I was blessed with a front row seat. We spent a night at Camp 2 and descended to Base Camp once more. Arnold Schwarzenegger’s famous quote is Reps, Reps, Reps. Life is all about hard work and repetition and this sentiment was never more apt then scaling Everest. It’s a test of your mind carrying out tough tasks repeatedly and having the physical and mental endurance to keep pushing on. We were now ready for our Summit attempt. We would rest and wait for a weather window. It would take four days to summit from Base Camp, so we needed good weather for a five day period. Our fate was now with powers beyond our control. This would prove the hardest part of the expedition; we waited for nine days in a row. It was hard to keep the mind occupied, playing cards, listening to music, walking the camp, talking to other climbers. I was like a footballer waiting in the dressing room, rearing to go! No climbers would reveal their own plans as everybody wanted to avoid a rush of people. Finally on the 9th of May we got a good weather report which would mean we would leave that night. We left Base Camp at 2am on Friday the 10th of May, going direct to Camp 2 that day. We got to our camp, set our tents and put on our brew, soup, noodles, anything you could force into you. The altitude makes you feel miserable at times and gives you no appetite. This took only 6 hours, 4 hours faster than the first time, which proved my body was acclimatised. I felt energised after completing it so comfortably. We left the morning of the 11th for Camp 3 and made it there by noon, repeating the previous day’s ritual,-brew, food, rest. The weather was overcast, the mountain was quiet. We were one of the first groups to go for the summit this year. There are only 3 weeks of the year that you can summit Everest when the 400km Jet stream gives way to a 40km breeze. This is why it gets so busy. We left Camp 3, Sunday the 12th, to cut new ground en-route to Camp 4 at the South Col. It was tough arduous climbing, one foot at a time and after 6 hours we made it to Camp 4. We got our tents up fast. It was miserably cold and windy, and again the views were outrageous. We were slaves to our routine and quickly got our brews on, refuelled and rehydrated. We enjoyed the company of other Sherpa’s and their teams as we shared “the last supper”. At this point we were inside the “Death Zone” and so oxygen became compulsory. The oxygen is provided via tanks the same as divers and is vital as no life lasts long within the Death Zone perimeters. We were in the tent at 2.00pm and the plan of attack was to leave on the same night at 10.00pm. We woke at 8.00pm for another brew and started to get ready physically and mentally, it was closing in on game time. We left as planned at 10.00pm. The winds had picked up, so we clipped into the ropes and made our way on our final ascent. After a few hours we passed some British and Australian climbers. There were only 14 people on the mountain that night. Only one westerner had summited the night before in this season. Climbing was a simple hike at 40 degrees in 6 inches of snow, but the pressure the altitude puts on your breathing means you are always gasping for air. The wind is constantly blowing snow dust into your eyes and it is setting icicles over your exposed face. We reached the balcony after a few hours where we changed our oxygen and the battery in our head lamps. We kept moving and as the sun started to rise at 4.45am and the summit began to become visible. This was an incredible feeling, I was now so close to realising my goal. The next two hours were the greatest moments I have enjoyed thus far on this planet. It was clear now that only God himself could stop us from prevailing on this conquest. We made the south summit after another hour. We were walking along a ridge, which falls away at thousands of meters either side. Every step was taking us closer. We came upon the infamous “Hillary Step”. A couple of climbing moves and you are past it but I can see how this creates so many problems for people as the altitude can make you lethargic and sluggish. 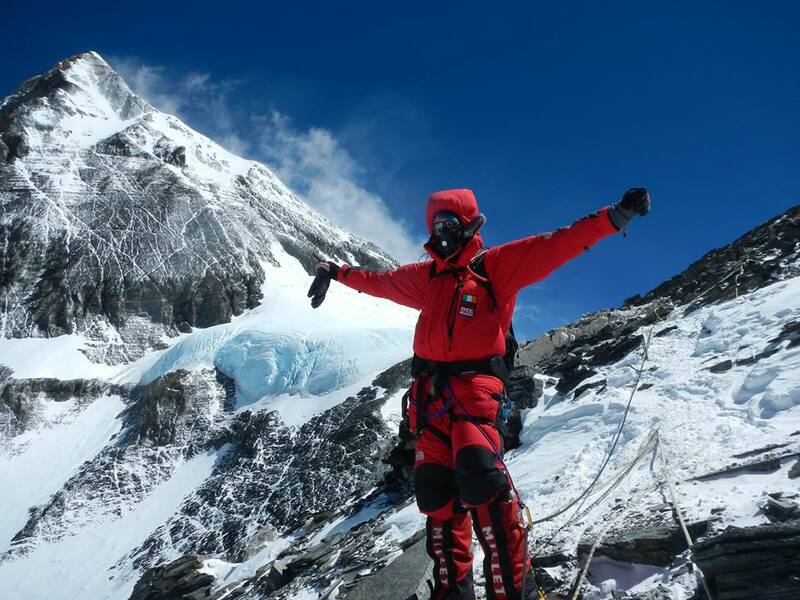 After another hour at 6.30am on the 13th of May I became the first Connaught man to stand on the Summit of Mount Everest. I was literally on top of the world! I was the first climber that morning and the second of the climbing year. The emotions of walking the last few steps and spending time on the summit by myself were of complete bliss and accomplishment. The views were truly astonishing. I could see forever in every direction. The gruelling training schedule and self sacrifice were justified and surpassed instantly. It was far beyond anything I had ever experienced. After 20 minutes on the summit, we decided to descend. It was minus 40 degrees, and we were getting cold. On our way down at the Hillary Step we met an Australian friend from Base Camp, as simultaneously the weather took a drastic turn. Visibility became dangerously low, as we were only able to see about 2 metres in front of ourselves. The Australian climber Margaret made the decision to turn around only 40 minutes from the summit, a heart breaking but life saving decision. After the South Summit we met Warren another Australian friend from Base Camp with his Sherpa. They were in a bad state and their condition was deteriorating. The mountain can be devastatingly cruel and we advised them to turn around, although they were agonisingly close, the risk completely outweighed the reward. Mingma pointed out several corpses on the way down which we did not see ascending in the dark, again highlighting the devastating realism that exists on the mountain. Thankfully we arrived to the safety of Camp 4 at 10.am. Immediately we rehydrated and refuelled in the event of the fatigue getting too much. After a few hours, Mingma selflessly decided to go back up the mountain as Warren and Dendi (Sherpa) were still on the mountain. Mingma suspected they had gotten snow blindness and were stuck at the Balcony trying to descend. Heroically he helped them get back to Camp 4 but they had spent 24 hours in the elements above 8000m and both suffered frost bite and snow blindness. It could have been much worse only for Mingma’s valiant act. Warren lost 3 fingers and the tips of his toes but was grateful to have his life. We spent the next two days getting to Base Camp to a well deserved party! After another couple of days we were back to city living. It was great to have a bed, a shower, a proper meal and a pint! I had lost 2 ½ stone and had to invest in a new wardrobe. I flew out to Killererin R & R coach Michéal Keane in Egypt for a week of celebration before arriving home for a massive party. The expedition was a dream come true for me, and I proved that there are no limits to what anyone can achieve when you have the desire to succeed in your goal. The support from my family and friends was invaluable and something I will be eternally grateful for. So, what’s next everyone asks? There is so much to do and so little time, but my next challenge is undecided. There are a few little inklings in the back of my mind that may come to fruition but a break is needed. In the meantime the quest to regain the No 6 jersey for Killererin Juniors is the priority. ▸Watch Peter’s Everest journey here!